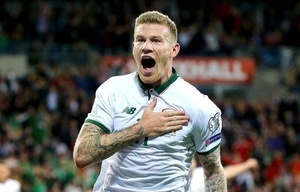 James McClean scores for Ireland [in crucial World Cup play off qualifier away to Wales] & the national broadcaster, RTÉ, has geo-blocked broadcast of the match to his hometown, Derry. Was it for this, indeed? The usual suspects will doubtless say they don’t care about the north. I’d say they’ll take the goal, though. 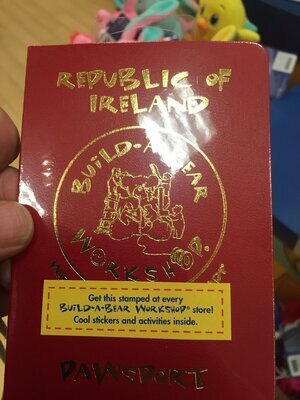 Posted in Misc and tagged republic of ireland at 10:01 pm on October 9, 2017 by Aaron McAllorum. RTÉ have to geoblock it as they don’t have the rights to show it in the North. To have the rights, they’d need to purchase the rights for all qualifiers for the UK. Not much point moaning about it – anyone in the North could watch it on S4C or Sky. The Worst Player was the RTÉ Player. The Graphics were stuttering Commodore 64 standard at best. Does anyone know what the final score was? It was the butler wot done it guv. James McClean & his hometown folk aren’t Irish enough to be allowed vote for the President of Ireland. What, you mean Martin? Or as he was known within MI5, agent J118 or “The Fisherman”. Take your pick. Would have made a great president. And we aren’t allowed vote for Stormont MPs or MLAs. Or for deputies to the Bundestag or the U.S. House of Congress. Came to broadsheet to see in what interesting fashion they would be outraged by this fantastic result. You’re abusing the English language there pal. All you ever do is complain about everything on Broadsheet, why not do use all a favour and stop using it. +1 He’s a horrible little troll. I don’t remember names, comments etc. My point is, IT DOESN’T REALLY MATTRESS. I only EVER post stuff here when I’m drunk. I’ve cut down on my drinking recently. Apparently it isn’t working. You didn’t notice. I’ll be back, drunker than ever. That would make me a bit like you, and I don’t like you a bit. I’ll admit, I DO ridicule the preposterous. *Frilly, you’re probably the only one who gets that joke and still thinks it’s funny. Personally I’m proud of making a joke with a simple comma. I have a question I want to ask you in real life. Wait ’til I sober up. I’ll e-mail you when I can properly formulate the question. It might be this side of Christmas, so don’t make any plans. i don’t believe you – your grammar is far too good for someone who types when they’re drunk. Why don’t you write a song about it? … whistle a tune while you disappear up your own backside. Hacking the hurt from the joy. – Go BS! – And when all the milk is gone… Look on the bright side… You still have a coconut. On the other hand, you still have a coconut and you’re in a gunfight…. I don’t know a lot about football but I think you know less. I know a lot about coconuts. Kid Creole had three of them. One of them had a stool with a pigeon on it. What did ye end up watching? That’s why apps like Hola unblocker exist. We don’t get to watch the Ulster variant of BBC either. Eh? I have BBC NI. I should clarify and say the BBC iPlayer. It’s completely geoblocked outside of the UK. … I think we got us one o’ dem ‘Internet’ types here…. Sounds a bit Spanish too… Be very careful… I think they’re in mating season right now, and more aggressive than usual. has anyone said that? somebody should say that. I was going to say it but I use capital letters sometimes, and I never use exclamation marks. Also, ‘Dragon’ and ‘Slayer’ should be hyphenated if you ask me, unless you mean the band. – That’s just my opinion. petey, are you a METALHEAD? You use a lot of ‘punctuation’ so I’m going to ask you, are you a big and hairy ‘Heavy-Metal’ bloke? Who’s the best, Suzi Quatro or Joan Jett? Sure it may as well be geo blocked here too for all the ‘error: stream not found’, constant buffering, pausing, jumping forward and the resolution auto adjusting to ‘giant blurred pixels’ for minutes at a time. Sorry to break up your little squabble here folks but just want to address the original point raised. ..this is only possible if your ISP assigns an NI IP address to you instead of one out of the standard UK pool. This is what most NI residents will receive by default and the reason said NI viewers see the “International” version of RTÉ online. So, if you you request a specific NI IP address from your ISP up here in the 6 counties, you will be able to watch online as the rest of the country does. I believe Virgin are the most approachable in this respect, however not all providers will be willing to do this?